The City Mayor of Monrovia, Jefferson T. Koijee has vowed to arrest and incarcerate individuals who used the street side-walks to urinate. According to the young city mayor, the city government will not tolerate anyone who used the open streets as their bathrooms and garbage sites. He said the city police along with the Liberia National Police (LNP) have been mandated to arrest and detain individuals who will be caught on the scene violating the City Ordinance Law. He averred that violators will be fined US$50.00 and those that will not be in the position to pay the fined will be mandated to clean drainages or garbage sites to substitute the fine payment. 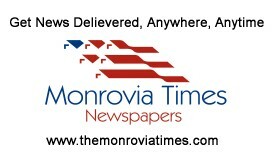 The Monrovia City Mayor made these statements when he addressed a news conference on Wednesday, October 10, 2018. “We cannot say we want to make Monrovia look like other beautiful cities across the sub-region and then we as a people continue to do the worst in our city. Beginning today, anyone who is caught peeing and dumping garbage in the streets of Monrovia will be arrested and detained until they pay a fine of US$50.00 in government’s coffers,” he intoned. The Monrovia City Mayor added that as part of efforts to reduce the stockpile of garbage in the commercial center of Red-light which has created a public outcry, his institution has gotten in close partnership with the Paynesville City Corporation (PCC) to remove the garbage sites. He revealed that the Monrovia City Corporation (MCC) has hired sixteen trucks to beef-up PCC logistical strength in clearing the huge stockpile of garbage in the Red-light commercial center. “We encouraged members of the public to join us by 9:00 am tonight (Wednesday, October 10, 2018) to help clean the garbage in the red-light market. This should be all of us responsibility; in fact, we are the same people that make these huge garbage sites at the various city centers across the country,” he stated in a rather disappointing tone.